More than 20 years ago of that, an enthusiast of surfing and a lover of the Basque Country decides to pass on(to transmit) his passion by creating the first school of surfing of Anglet. The ecole of surfing Rainbow thus is the first school of surfing to be born on the famous beach break(break dance) of Anglet. At the rate of the years and tides, values conveyed by the school and its quality education(teaching) contributed to make its fame. Recognized and certified school, the approved and State-certified instructors(monitors) will be there to learn you to surf in the best possible conditions. 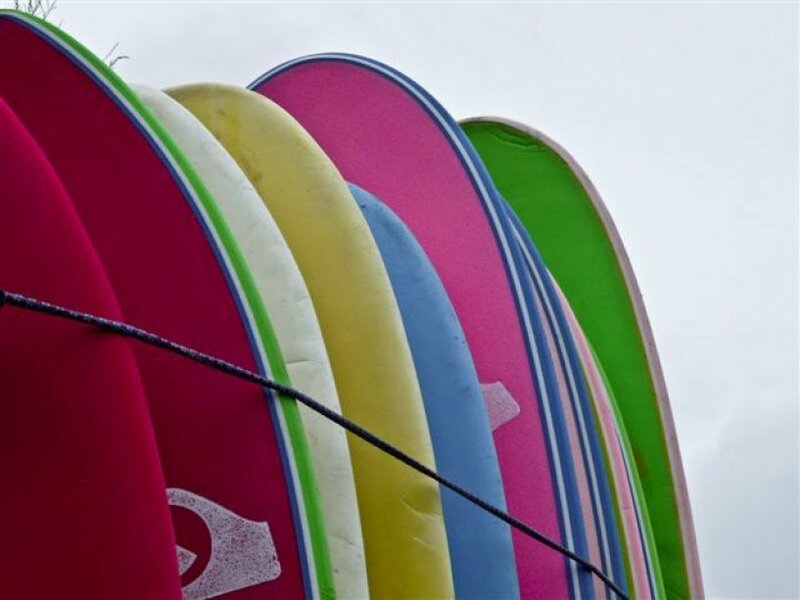 Initiated or confirmed surfers, the Rainbow Pays basque school will make you live your first steps on the board for the least warned and will offer a high potential of evolution in the most experimented. The school situated to Anglet, above one of the most famous beach break, has the best surfing conditions that can offer local spots. 20 years of experience and transmitted values will bring you all the knowledge, passion and lifestyle related thereto.